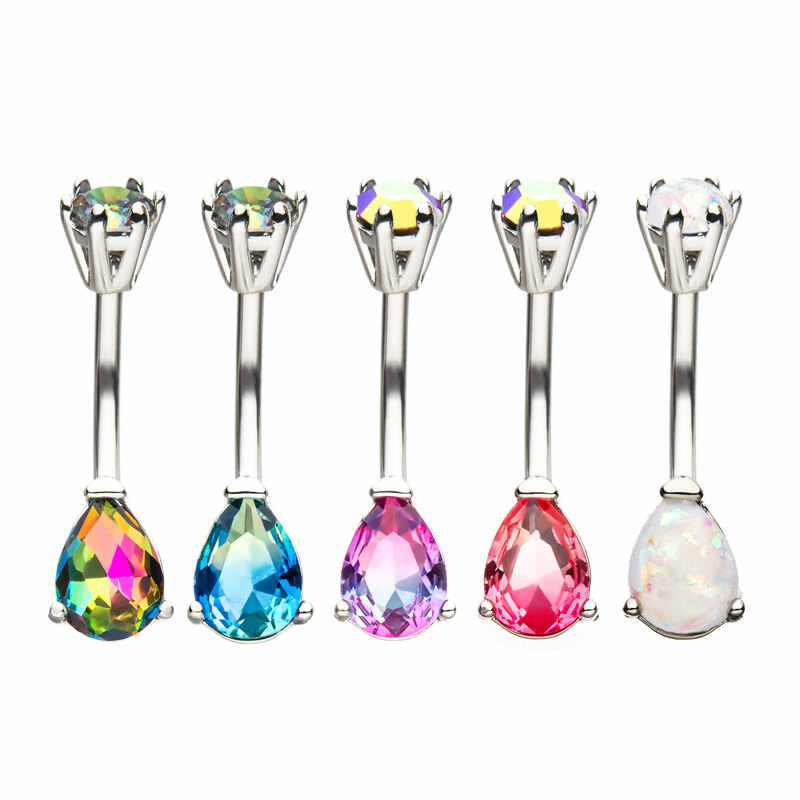 14G 7/16" Prong Set Tear Drop Gem Fixed Navel in 5mm (top) and 6.2mm x 9mm (bottom). Bar is made from 316L Surgical Steel and design is made of Base Metal. Sold Individually.